In two consecutive weeks this summer, the No. 2 Course at the Pinehurst resort will host the U.S. Open and U.S. Women’s Open, the first time a venue has done it in the same year, never mind in back-to-back weeks. The men will compete June 12-15 and the women June 19-22. The layout for the men, according to the club website, was 6,430 yards with a par of 71. The women played Worcester at 6,137 yards with a par of 72. Three years earlier, in 1957, Winged Foot Golf Club in New York, became the first venue to host both the men and women, but the titles had been contested on different layouts. The men played on the West Course and the women on the East Course. The men had competed twice on the West by the time the women played the East. The men have played the West five times. Twice the women have competed on the East. In 1925, Macfarlane and Bobby Jones were tied after 72 holes with Macfarlane shooting a then-record 67 in the second round. They were still even after an 18-hole playoff so they went back for another 18. Macfarlane triumphed by one shot, notching a 72. One of the most famous incidents in golf occurred during the tournament. 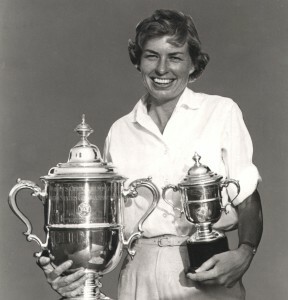 Rawls’ victory made her the first to earn four Women’s Open triumphs. It was also her last U.S. Open title. Only Mickey Wright has duplicated the feat. 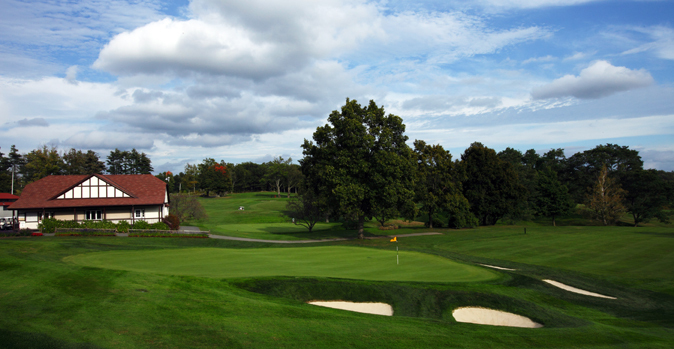 Baltusrol Golf Club in New Jersey is the only facility to host both events on two layouts. The Lower Course and Upper Course have each seen the men and women vie for the national championship. The men also played on two other designs there that are no longer existent. The first city to host both championships was Philadelphia when in 1957 Bala Golf Club was host site of the U.S. Women’s Open. 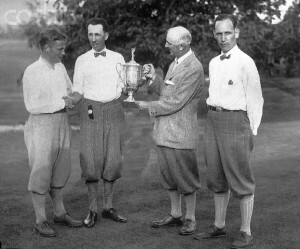 By that time the men’s open had been held eight times in the city, the first time 1907 at Philadelphia Cricket Club. The course that has hosted the most combined events is Oakmont Country Club. The venerable Pennsylvania layout designed by Henry Fownes has welcomed eight U.S. Opens and two U.S. Women’s Opens. Other clubs that have had both tournaments are Hazeltine National Golf Club (2 each, men’s and women’s), Cherry Hills Country Club (3 men’s, 1 women’s) with Newport Country Club, Colonial Country Club and Interlachen Country Club hosting one each. Like Winged Foot, Baltimore Country Club and Atlanta Athletic Club have also been the host venues for both events but they were played on different courses.